Gnasty Gnorc has returned from exile and has unleashed evil magic on the Dragon Realms, trapping the Dragons in crystal and raising an army of Gnorcs. Spyro, with his friend Sparx the Dragonfly, is the only Dragon left who can traverse the six Homeworlds, free the Dragons and save the day! Spyro has been brought to the land of Avalar to defeat the evil sorcerer Ripto who has brought war to Avalar’s Homeworlds. 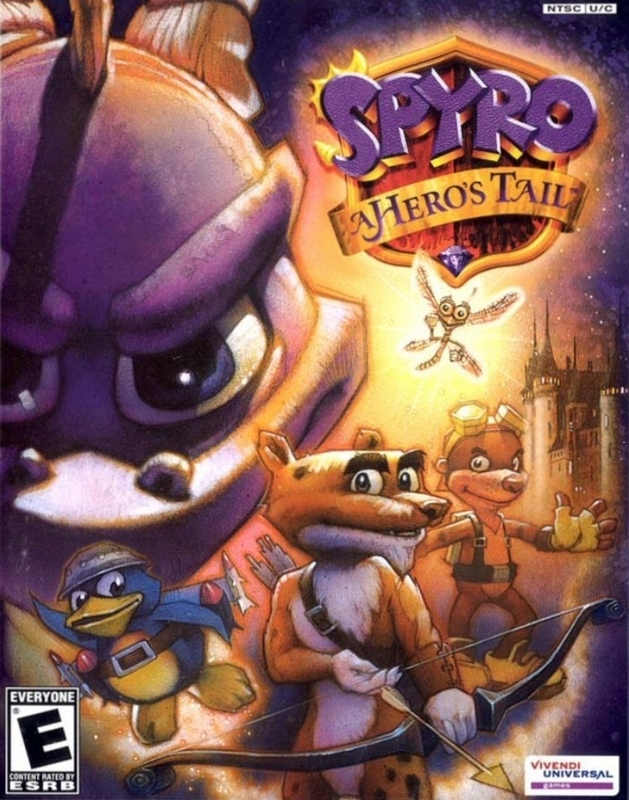 Each Homeworld is being held captive by Ripto and his minions, and it's up to Spyro to defeat them and bring peace to Avalar’s realms. The Dragon Realms are celebrating the ‘Year of the Dragon’ when a mysterious cloaked figure emerges to steal all the Dragon Eggs. Under the spell of the evil Sorceress, an army of Rhynocs is now guarding the helpless eggs in the Forgotten Realms. With new and old friends, Spyro is on a quest to recover the lost eggs, defeat the Rhynoc army and stop the evil Sorceress. Dragonflies missing?! The Dragon Realms in jeopardy?! It seems Ripto is back with an evil plan and everyone's favorite purple dragon is back on a mission to stop him. 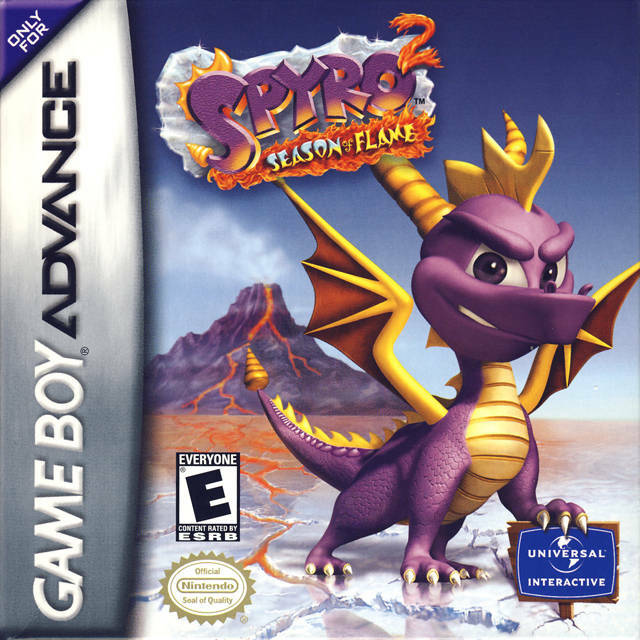 Featuring tricky puzzles, dazzling levels and all new breath weapons, this is definitely Spyro's hottest adventure ever! 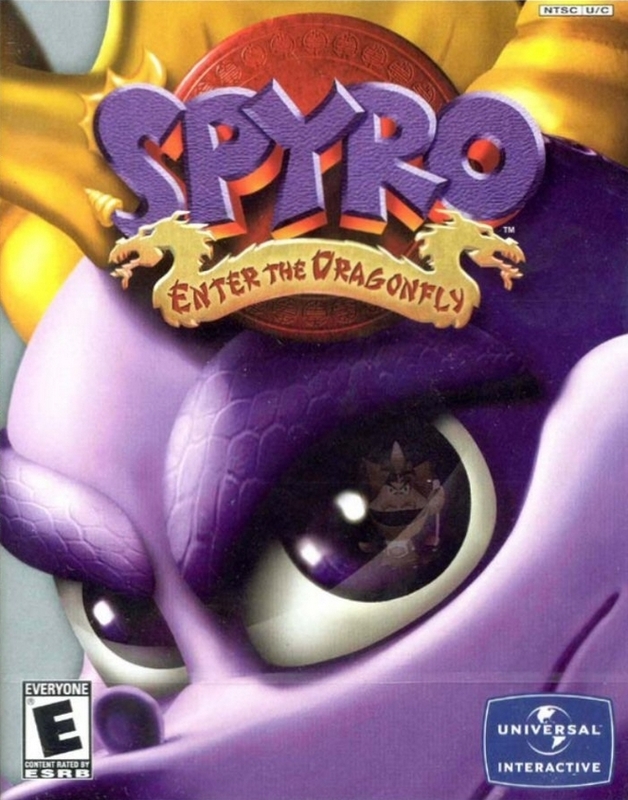 A careless wizard has cursed himself with a big headache and it's the wings of 100 fairies he needs for the cure Now it's up to Spyro to save the fairies and restore order to the Dragon Realms! Magic fireflies are the source of a dragon's fiery breath, and someone has stolen them all! 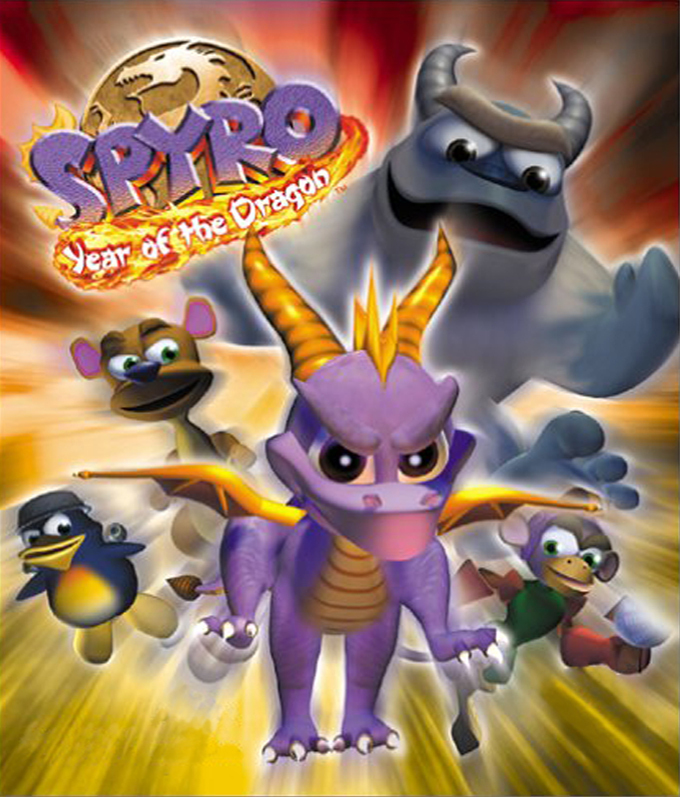 Spyro and his friends must capture all the fireflies and stop Ripto from activating a sleeping volcano and destroying the Dragon Realms! Explore one giant world to save the Dragon Realms as Spyro, Agent 9, or Sgt. Byrd. Collect artifacts, gain new skills and play minigames and new bonus multiplayer mode! Team up with Crash Bandicoot through 4-action-packed environments. Challenge up to 3 friends in various multiplayer modes with just one catridge! Earn power-ups in 25 unique mini-games. Link to Crash Bandicoot Fusion to unlock even more multiplayer action, characters and collector cards. 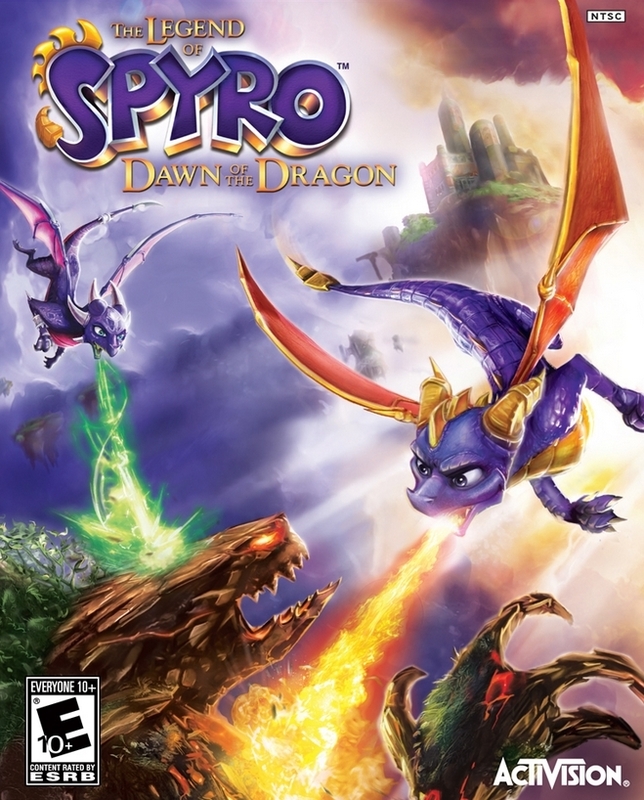 Spyro's five band of explosive friends must track down and destroy deadly dark gems. The mysterious dragon, Red, has created the gems to corrupt the mighty Dragon Realms with evil. The ferocious five must restore the magnificence to their world or risk losing their home to darkness. Spyro's friends have been sucked into the Shadow Realm and their magic is slowly being drained. 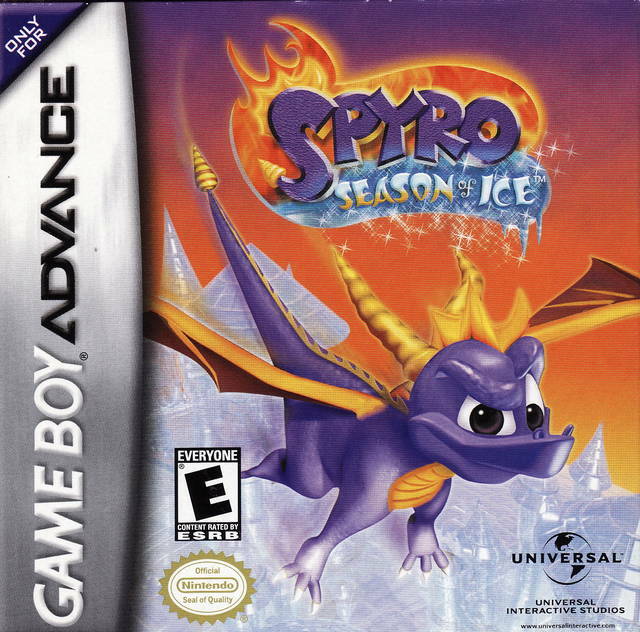 Spyro must use his flame and ice breath, his magic, and his chi abilities in order to rescue them and defeat the Stranger who controls the Shadow Realm. 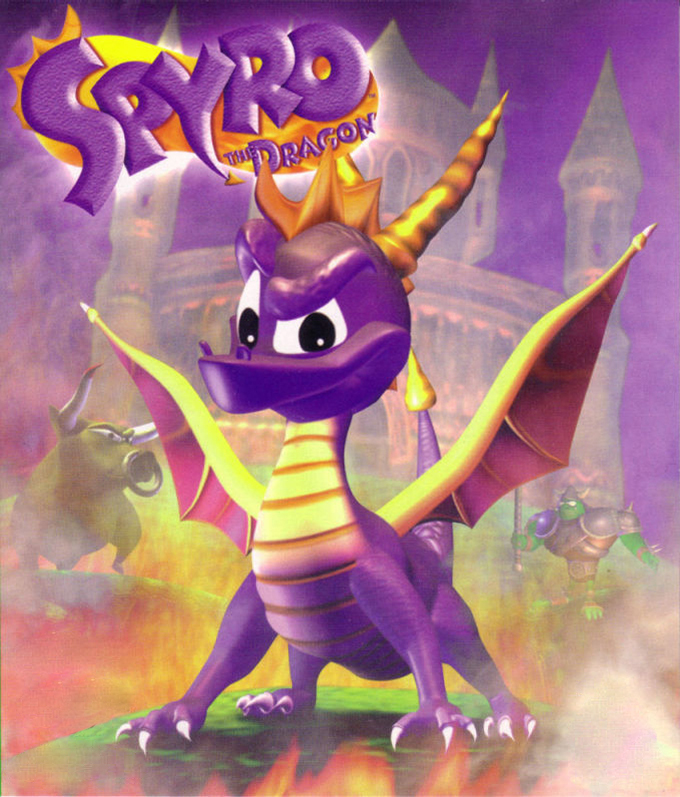 Spyro receives his training from the Dragon Elders, and receives various quests from his rescued friends. 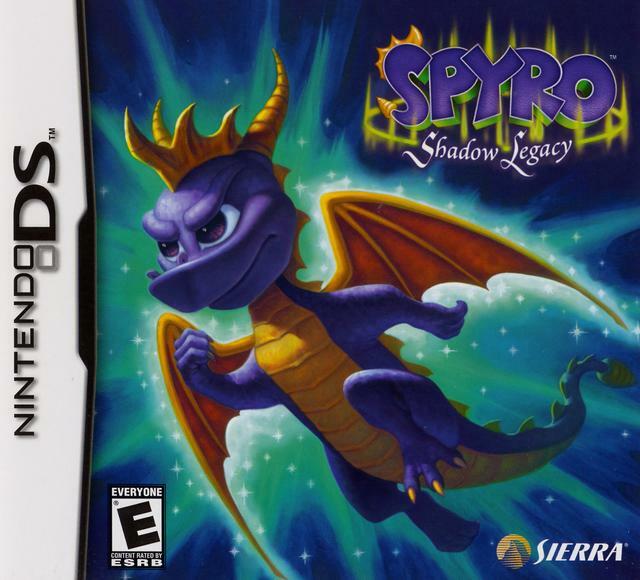 The first reboot of the Spyro franchise that introduces a darker mature setting with no connection to the Spyro games before it. 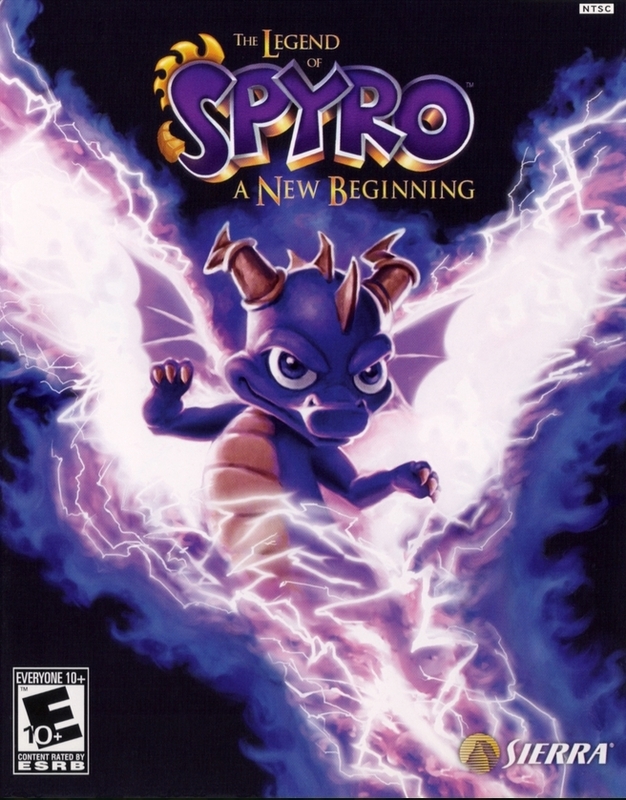 When Spyro, a young dragon, leaves his home in search of the truth behind his past, he finds a shocking discovery - the fate of the world rests on his wings. In a race against time, Spyro must realize his destiny and explosive powers that lie within if he is to put an end to the mysterious black dragon, Cynder! 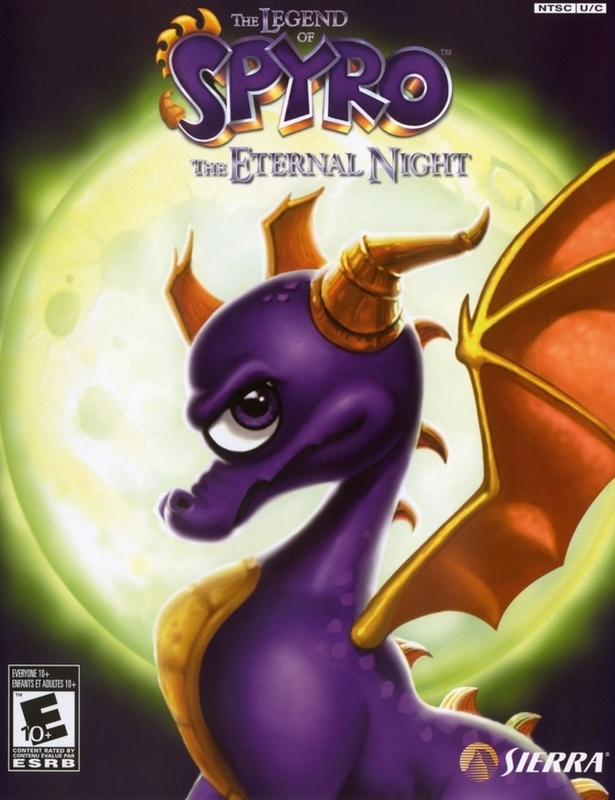 On the Night of Eternal Darkness, Spyro must prevent Gaul, the Ape King, from ressurecting the Dark Master. Faced with little time, greater danger and new enemies, Spyro must fight his way through an epic journey. The Dark Master has unleashed upon the wrath to bring upon a new age of darkness. As evil spreads, Spyro finds himself teaming up with an unlikely ally, Cynder, his former nemesis. Together, they embark on a perilous quest stop the Dark Master and save the world. 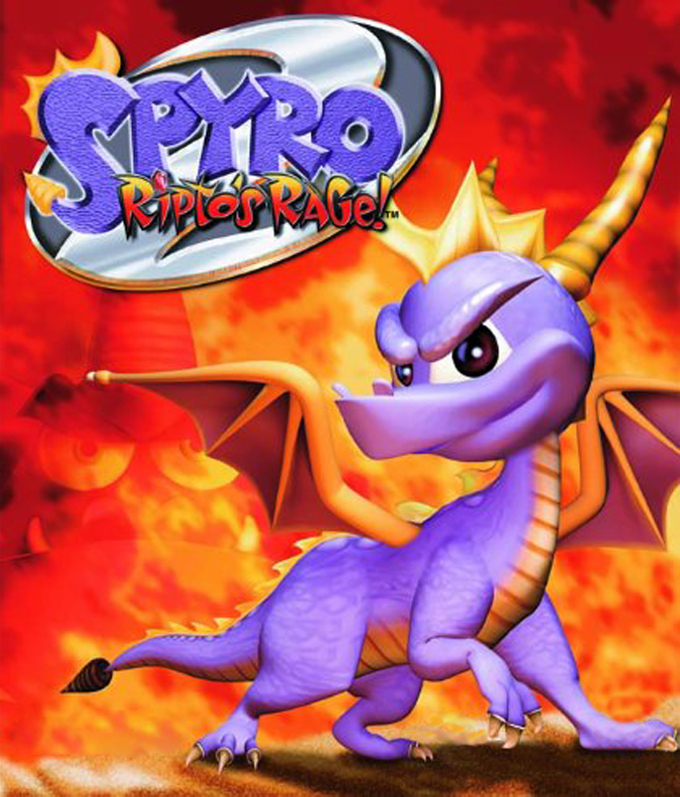 Part spinoff part reboot to the Spyro franchise. 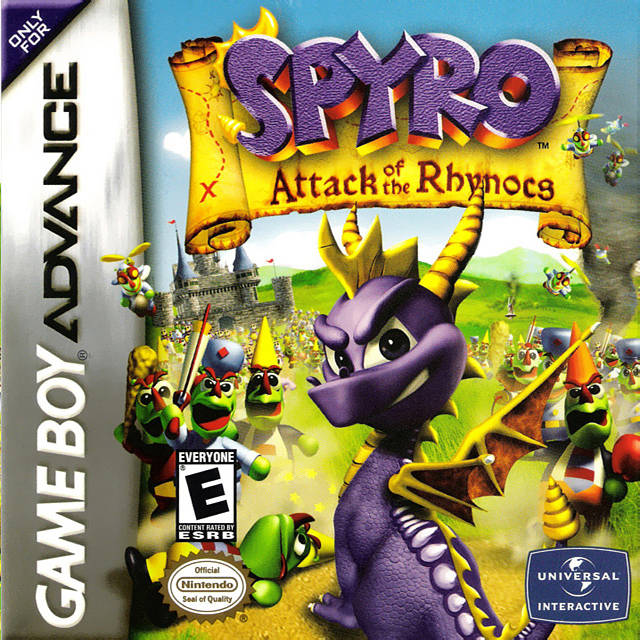 A toys to life genre, this series features Spyro and Cynder as few of the many playable toy figures, starting at the first game. 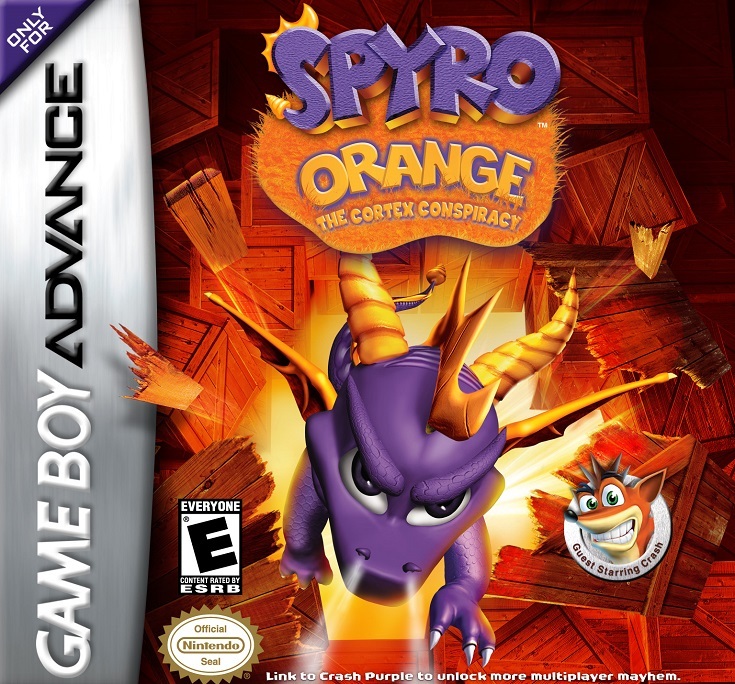 This list only features the games that has Spyro and other related characters with notable roles. In Skylanders: Spyro's Adventure, players take on the role of a powerful Portal Master, who can control over 30 different characters, including the beloved purple dragon, Spyro. Each of these heroes is a protector of an amazing, mysterious world, but they have been ejected from their world by the sinister Portal Master known as Kaos, and now, they are frozen in our world as toys. 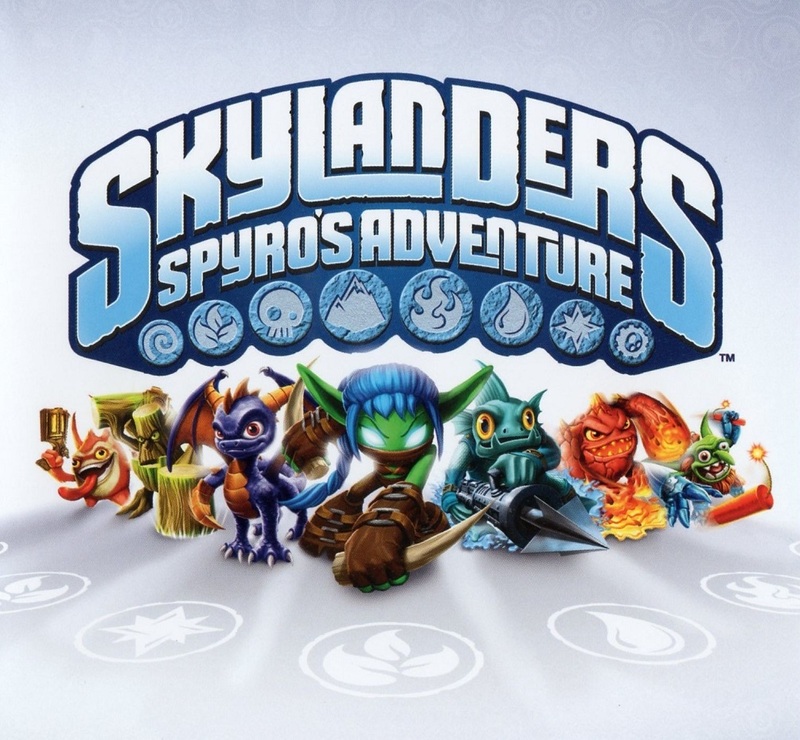 Only the players of Skylanders: Spyro's Adventure can get them back into their world, by embarking on a fantastical journey where they will explore mythical lands, battle menacing, outlandish creatures, collect treasures, and solve challenging puzzles as a part of the quest to save their world. The story of Skylanders Imaginators takes place long ago when the Ancients used a mysterious power known as Mind Magic to create everything in Skylands. With it, they conjured into existence anything that they could imagine. However, they soon learned that in the wrong hands, it could be very dangerous, and so they sealed it away so that it could never be misused. After discovering this ancient secrete, Kaos has unleashed the power of Mind Magic into Skylands once again - and he is using it to create an unstoppable army of Doomlanders, the likes of which have never been seen! 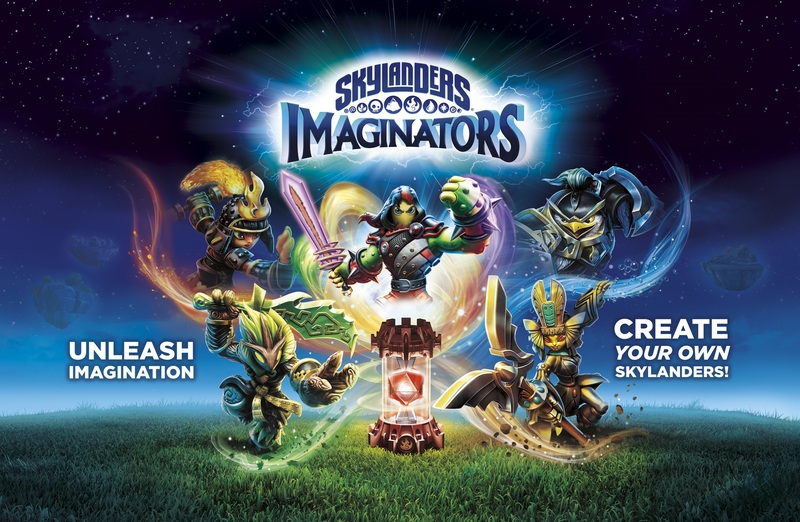 Now it's up to Portal Masters to create Skylanders Imaginators from their own imagination to stop Kaos and his evil Doomlanders before it is too late. And to help train them, Eon is sending the greatest mystic warriors of all time - the Senseis! As darkness begins to threaten the balance of peace in the Skylands, Master Eon is forced to assemble a ragtag group of heroes to protect the universe from evil-doers Kaos and the Doom Raiders. Using their unique blend of personalities and elemental-based super powers, Spyro and his fellow Skylanders are called upon to set aside egos as they come together to maintain harmony and balance in the land. 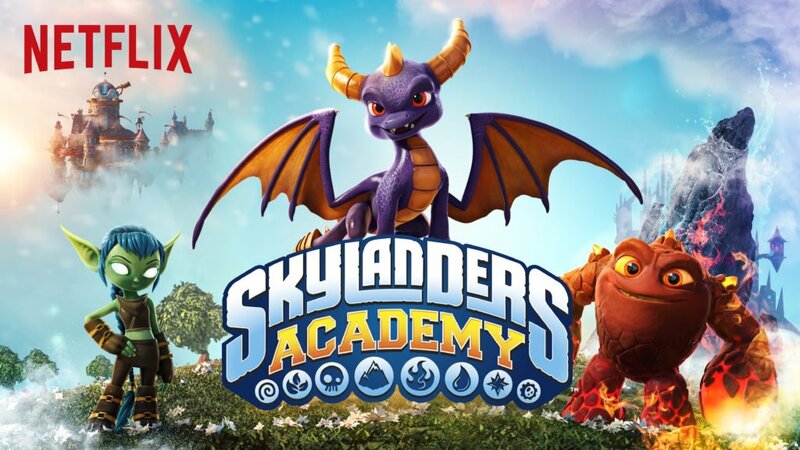 Jam-packed with humour, heart and memorable moments, Skylanders Academy promises to keep viewers on the edge of their seats with epic action for kids of all ages.